Have you seen BuzzFeed English? BuzzFeed Community Make A Post! Your Post Has Been Launched! Fabulous! Don't forget to share with your friends on Twitter and Facebook. Internal emails offer a peek behind the scenes of the peculiar and little-known organization that oversees the development of a weird new universal language. In a series of acerbic emails on a chain celebrating Unicode and emojis’ mention on The Late Show With Stephen Colbert last March, legendary Unicode contributor and typographer Michael Everson railed against the consortium, suggesting that the organization’s focus on emojis is hurting the work of scholars like himself. Other emails on the chain express similar frustrations. “I’ve only really seen one or two emails that actually sparked any meaningful discussion on Unicode while the rest have either been barrages of announcements…or end up being ‘Oh look, people talk about emoji!,’ ‘Should Father Christmas’s beard be the same color as his hair?’” one younger member associated with the consortium wrote. 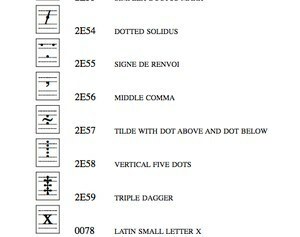 Everson, who has spent decades encoding characters for Unicode — a 2003 New York Times profile cited him as “probably the world’s leading expert in the computer encoding of scripts” — says that his frustrations stem from the consortium’s failure to provide “actionable feedback” on a medieval punctuation proposal that he placed in front of the committee in 2007. “I’m editing some documents in medieval Cornish, and I personally need some of these characters. Their absence is impeding my work,” Everson told BuzzFeed News via Skype from his home in Ireland. In one of his emails to the consortium, Everson takes issue mainly with the lack of feedback on his medieval punctuation proposal: “When ballot comments are reviewed, and something is rejected, a reason is given. Is that the case for PUNCTUS ELEVATUS MARK or PUNCTUS FLEXUS MARK? No. Nobody said a word about those,” he wrote. 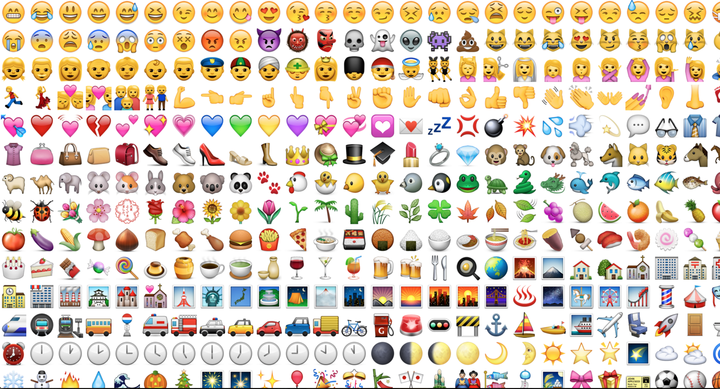 As emojis’ popularity has exploded, so has their press coverage, which Unicode has embraced. In recent years the consortium has weathered and begun to resolve the backlash over a lack of diversity inside emojis’ character set and now presides over an influx of proposals for new emojis from both invested private citizens and companies like Durex condoms. 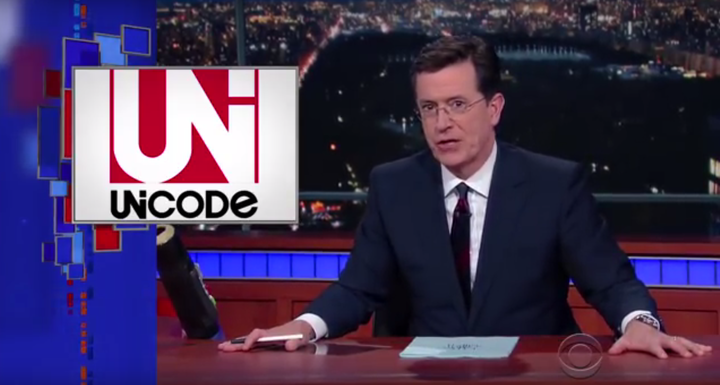 Last December it publicized an Adopt a Character campaign to let people sponsor emojis (and other Unicode characters), and in January, Unicode President Mark Davis informally named the “Face With One Eyebrow Raised” emoji after Stephen Colbert, which led to the Late Show mentions and subsequent press. While it might all seem like good fun, Unicode traditionalists like Everson see it as a series of distracting stunts. “What does it take to get your attention, folks?” Everson wrote in a March email to the consortium. “An April Fools’ proposal for EMOJI PUNCTUS EXCLAMATIVUS MARK?” He then attached his 23-page medieval punctuation proposal for good measure. In subsequent emails, Everson appears to have rallied some supporters. The younger member of the internal chain seems equally exasperated with Unicode’s embrace of emojis. “I was angered that an organization that essentially dedicates itself to the standardization of encoding the world’s languages has been dumbed down to the organization that ‘makes emoji,’” he wrote. A number of strong leadership voices inside the consortium strongly disagree. On the email chain, John Hudson — another prominent typographer — shot down the idea that the consortium is letting emojis get in the way of its legacy business, suggesting that Unicode has always struggled to balance the old-school work of historical and minority scripts (dead languages) and newer, evolving language. “They are problems that have been around for longer than emoji, and would persist even if emoji encoding in Unicode had not happened…even before Emojigeddon,” Hudson wrote. The new emoji candidates next to a few of Everson’s proposed medieval punctuation characters. Everson’s been public about his frustrations on Twitter. But as Everson sees it, the glacial pace of the consortium is wasting crucial time that could be used to further language studies. In a recent email plea to the consortium over medieval punctuation like PUNCTUS FLEXUS MARK , he decried Unicode’s slow process while also taking a shot at the newly proposed (and likely soon to be accepted) dumpling emoji. “We need these things encoded so we can USE them and we need them a lot more than we need a DUMPLING or even the Phaistos Disc [the latter is a reference to a 4,000-year-old clay disc that was found in Crete that no scholars can decipher],” Everson wrote. While Davis, Unicode’s president, told BuzzFeed News that “the vast majority of what Unicode does is not emoji,” the attention and excitement has led the non-emoji crowd to feel that the work to which they’ve dedicated their time and expertise is inferior. “The worst part is that even within this mailing list, discussions/comments/observations on emoji seem to be 1st class citizens where discussions about new language encoding end up second class,” the same young Unicode member wrote in an email defending Everson. Ultimately, Unicode’s Emojigeddon boils down to a few essential questions: Are emojis a language? And if not, what exactly are they? Why are their regulation and evolution overseen by a bunch of language nerds and engineers? Typographers, linguists, and text-encoding experts including Unicode’s president generally agree that the character set does not rise to the standards of an emerging language. “People have strategies for stringing them together, of course, and deriving greater meaning — everyone knows eggplant is an erection and people sext with the vegetables, but that does not make it a substitute for language,” Everson said. But for others, emojis’ ubiquity makes the character set a meaningful mode of expression that transcends traditional linguistic barriers — vegetable sexting included — and is quite the opposite of a dumbed-down “cartoon.” Language or not, they argue, when millions of people zealously adopt a new, authentic way to communicate, it becomes important whether Everson, Unicode, or any linguist, typographer, or academic agrees. Part of the reason for Everson’s passion and frustration is the sense that ongoing encoding work is, in the internet age, akin to a human right. To demonstrate, he explains a tribal alphabet used in India that, until recently, had never been encoded. Your link was successfully shared! Are you sure you want to remove this item? You can\'t restore it with "Cancel" button! has been editing this post since . have been jointly editing this post since . Unlock only in a case of an emergency. took your lock at . What type of post are you making? Hey, I saw this on BuzzFeed and thought of you. Please select the newsletters you'd like to receive. Thanks for sharing! You should sign up for our News newsletter!